Laura Wakefield has had many roles at Florida Virtual School (FLVS) over the last 11 years and is currently the Grants Coordinator. Previously, she authored the FLVS Turning Points Teaching American History federal grant, coordinated a teacher preparation program grant piloting virtual lesson study, wrote history curriculum, and served as a middle and high school American history teacher. 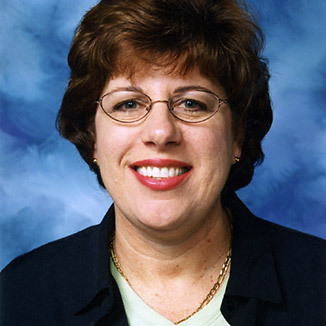 Before ‘going virtual,’ Laura taught middle school social studies in Osceola County Florida schools for many years and was recognized as the National Middle School Social Studies Teacher of the Year by the National Council for the Social Studies in 1995. She holds a Master of Arts degree in American History as a James Madison Fellow and achieved National Board certification in Social Studies/History. The author of several articles on teaching history, she has been a frequent presenter at state and national conferences. She currently serves as Vice-Chair of the Board of Directors for the National Council for History Education and enjoys mentoring teachers. Prior to her teaching career, she served as a U.S. Army Captain stationed in Germany. Laura loves spending time with her husband, four children and grandchildren.